A man has ended up dead just five days after his wedding while he was on his honeymoon with his new wife. 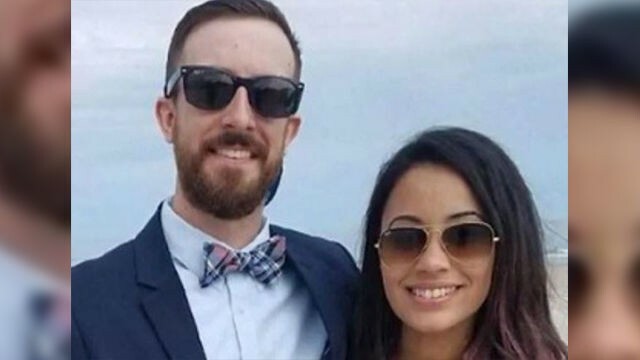 According to The Boston Herald, the body of a newlywed man was found on Saturday after he was swept away by flash flooding in Costa Rica before his wife’s eyes. Josh and Bianca Byrne, from Massachusetts, USA, got married Oct. 6. They were on their honeymoon in Costa Rice when their vehicle veered off a bridge and submerged in the river last Thursday, according to the Boston Herald. The couple was able to climb onto their car’s roof and then decided to swim to shore. Bianca made it to shore, but Josh, 30, was swept away by flash floods. Josh’s father and brother few to Costa Rica Friday to search for Josh. The Red Cross found Josh’s body Saturday afternoon. According to their friend, Michael Ciprari Josh and Bianca Byrne, were on their honeymoon that was supposed to be “the best part of their lives” until their vehicle veered off a bridge and submerged in the river. The two were able to extricate themselves from the vehicle and climb on the car’s roof. Both decided to swim ashore. As Bianca swam, she looked behind, Josh was gone. The couple met through Instagram in the fall of 2015, said Melissa Byrne, who is married to Josh’s brother, Patrick. Josh Byrne proposed to Bianca a year ago this week. At the wedding, Melissa Byrne said she remembered “telling Bianca I was excited to have another sister. I gave Josh a hug and told him I was proud of him. Friday, Paul, Josh and Patrick’s father — flew with Patrick to Costa Rica to try to find Josh. Diane Hunt, Josh Byrne’s aunt, said the Red Cross found Josh’s body yesterday afternoon.